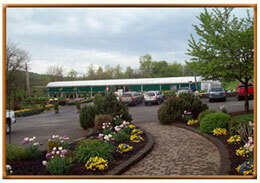 Cierech’s regular season begins in March with early vegetable transplants, pansies, soil, and mulch. 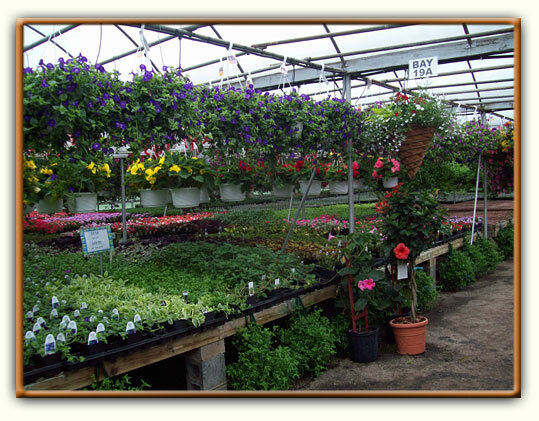 April, May, and June are a “feast for your eyes” with thousands of hanging baskets, benches of annuals, perennials, mixed containers, and a full selection of nursery stock. 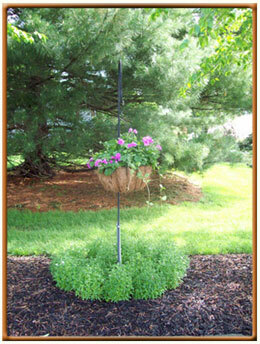 There is something for every gardener, for the novice planter to the master gardener and landscape designer. Frank grows the tried and true bedding plants in flats of 48’s and 36’s but you are welcome to pick up a pack of four/three from wherever you like. He also tries any new item he feels will be successful in the garden that summer. His true love is still the vegetable garden and he treats every pack with the same care that he would for his own use. Cierech’s offers over 30 varieties of both pepper and tomato plants to please his clientele. July and August are sales all around, potted annuals to fill in the empty spots in your garden, and fall vegetables. In September and October the parking lot is filled with our field mums along with winter hardy pansies, asters, and grasses. November and December turns the greenhouse into a sea of red with poinsettias in full color. We also offer our customers a large selection of hand crafted grave blankets, logs, and pots along with fresh wreaths, roping, swags, arches, and Christmas balls. 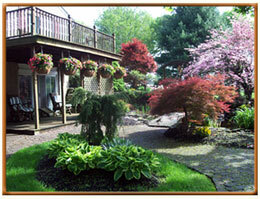 We are located in a lovely rural setting, near the Delaware River in Pohatcong Township, Warren County NJ. We sit on the outskirts of Alpha and are easily accessible from routes 22, 78, 611, or 519. We are a family run operation with the help from some long time employees that we now consider our “greenhouse family”. We take pride in our product that is grown by Frank, who tends it with constant care and concern. Frank Cierech grew up on his family’s truck farm in Lincoln Park, NJ. This is where he developed his love of quality produce, straight rows, and a well kept farm. After his loving father loss his battle with brain/sinus cancer at a very early age of 44, the three brothers kept the labor intensive farm going until their mother decided to sell the land. Having spent a year at Cook Agricultural College at Rutgers University, Frank had worked in the college’s experimental greenhouse where the new idea of growing vegetables hydroponically was being tested. Frank was infused with a new sense of excitement for the wave of futuristic farming, making the most of every square inch of space and getting a longer growing season with more products per acre. Frank put up a few Quonset houses on his mother’s farm in 1969 and began the production of the New Jersey Greenhouse Tomatoes. He delivered them to roadside farm markets across NJ and even supplied the NJ State Legislature with samples to prove the greenhouse variety was every bit as tasteful as the field grown varieties. The trick is in the “vine ripening process”. After the high concentration of industrial facilities in Lincoln Park caused water pollution on his mother’s farm, Frank moved to Warren County on a 20 acre piece of Adrain Hartung’s farm. The deal was struck with a shake of the hand (aww-the good ole days!). No finer neighbor than AC Hartung will be found-that’s for sure! So Frank Cierech at the ripe old age of 23 began building of his dream on a cornfield (build it and they will come! )He would have made a great pioneer. In April 1974, Frank brought his wife Kathleen and their two year old son Frankie to live in a borrowed camper. Oh yes, a baby with no bathroom, no hot water, and no stove-looking more like a nightmare than a dream to Kathy. The shell of the house was erected and Frank had to finish the inside but a new found appreciation of indoor plumbing had blossomed in the Cierech household. The first crops of tomatoes were ready for delivery by Memorial Day weekend 1974. With the help of a few good local teenagers, the tomatoes were a local hit and Frank offered a “pick your own” at the end of every season. The price of propane to heat the greenhouse spiked in the late 70’s and Frank added Easter flowers and bedding plants to help supplement the income-the rest is history. Whether you are a long-time loyal customer or a brand new face, we are happy you have taken the time to visit our web site. While we are proud of our years of experience in the green industry, we are “green” in the technological world that our children and grandchildren master in minutes. Like many of our 60 year-old friends, we are in awe of this vehicle that allows our customers to access our site by a click of a button. Please be patient with our digital ineptness, offer any suggestions you feel will help us, and realize that you have become privy to a well kept secret that the true gardeners only share with their friends. One spring visit will have you hooked. Please check out our directions and come pay us a visit. We are always happy to meet a new friend. Copyright © 2019 Cierech Greenhouse	| Website by D.C. Helms, Inc.